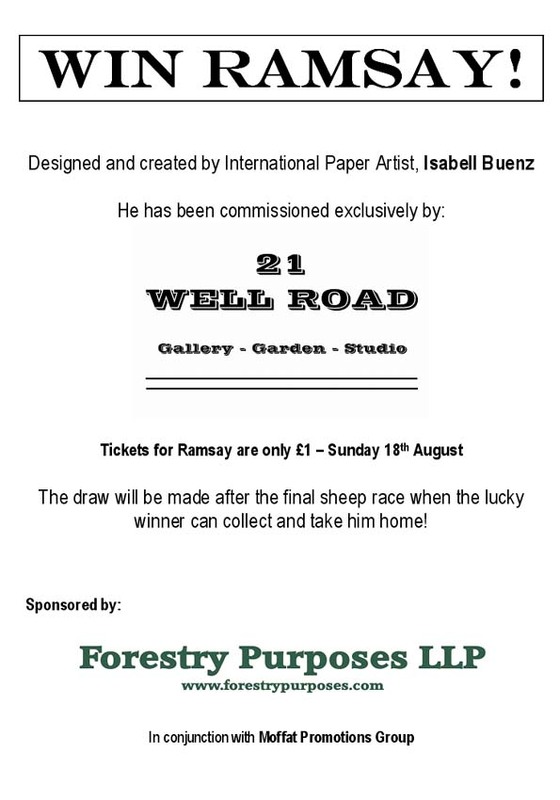 Recently I was very lucky to be commissioned to create the prize for this year’s Moffat Sheep Race Raffle: a life sized paper ram. It took me nearly 4 days to make him but I finished him just in time. 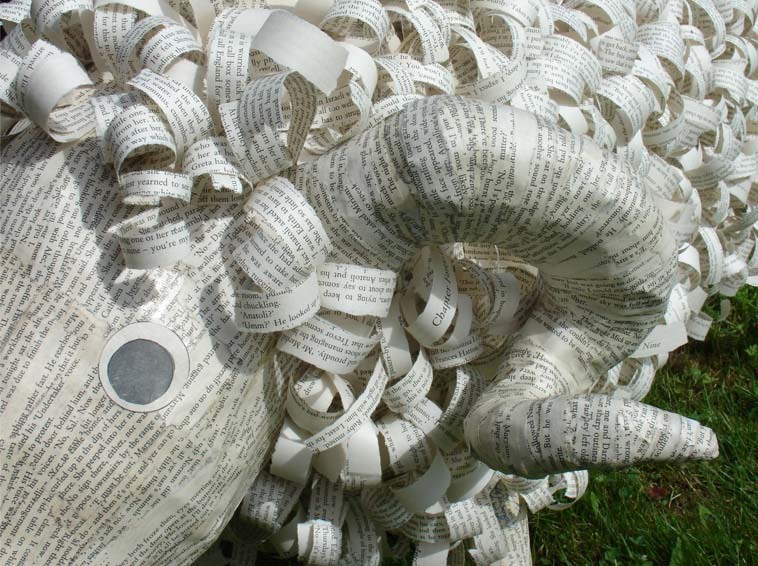 He has been named ‘Ramsay’ and is mostly made from chicken wire, newspaper and glue. The outside is entirely covered in parts of two old paperback books that were discarded library stock. 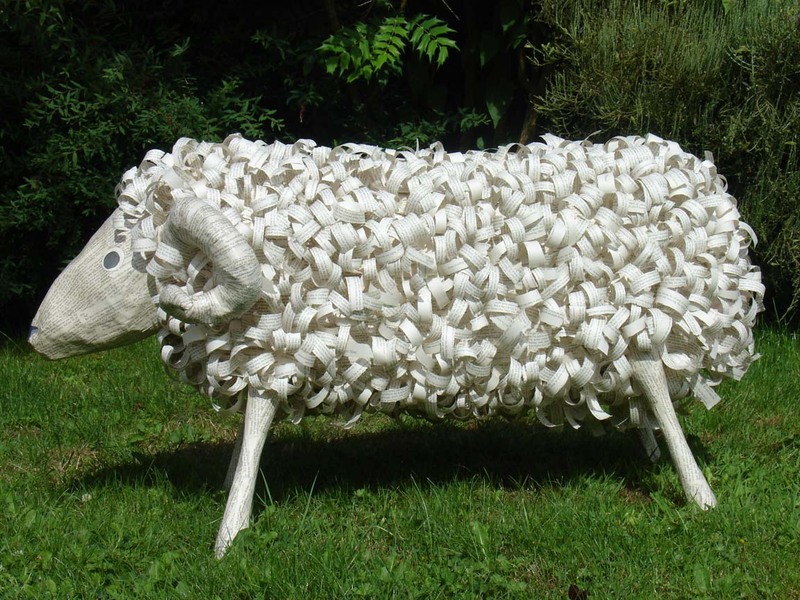 For a close-up look visit the Moffat Sheep Race on 18th August!